According to Chiygoz, nothing was able to break the will of the Crimean Tatar people, nothing could destroy the identity, love for their home country, for their Motherland. Today, August 9, the "Supreme Court" of Crimea continued the arguments on the case against the Deputy Chairman of the Mejlis of the Crimean Tatar people Akhtem Chiyhoz, after which he delivered his final word. “Before my mother died, I asked her forgiveness, for the fact that as a son I could not be with her in her last difficult days. Gathering her last strength, she said: "I am proud that I brought up such a son!" Whatever I do, no matter how hard it is for me now, and I don’t not know if I ever come out of here alive, but the thing that frightens me the most is that my actions, thoughts, statements could disgrace me as a person, as a Crimean Tatar and my people would be ashamed of their trust and my election to the Mejlis of the Crimean Tatar people. I, like other members of the Mejlis, made this oath, bowing my knee and kissing the national banner, in the courtyard of the Khan's palace, the symbol of our people, the center of the centuries-old statehood of the Crimean Tatars. The reason for several deportations and in fact the genocide was the desire of the Russian Empire, and later the USSR, to evict Crimean Tatars from the Crimea and to forever destroy the history and the memory of our people. Each Crimean Tatar pronouncing these words swears an oath and feels responsibility for the future generation, for the fate of his nation, for the fate of his Motherland. The people themselves elect their leaders. Nothing broke the will of the people, nothing could destroy the identity, love for their home country, for their Motherland, which passed on from generation to generation. For the Crimean Tatars, as for many other peoples, the concepts of "civic duty", "patriotism", "national dignity" are of a special value. On February 26, 2014 Crimean Tatars and other citizens of Ukraine once again came out protesting against threats to the territorial integrity of Ukraine and demanding to call to account the adventurers in power and political rascals. 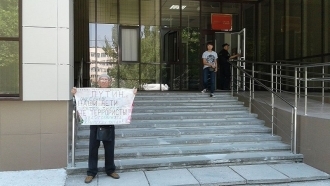 In the future, during the occupation of Crimea, Crimean Tatars along with other citizens of Ukraine, despite numerous provocations by these forces, abductions, murders, searches, arrests, prohibition on holding commemorative mourning events, huge fines for the slightest manifestation of activity, despite the use of wide repressive methods, have continued and still continue to fulfill their civic duty. These are the circumstances that irritate these forces, lead to anger and make them initiate trials of innocent people. A politically biased process that has already gone down in history as "the case of February 26, continues for more than 2 years. The process aims, of course, to intimidate the Crimean Tatars, to strangle and minimize their activity in defending their rights, supporting Ukraine and the world community, who do not recognize the illegal annexation of the Crimea. 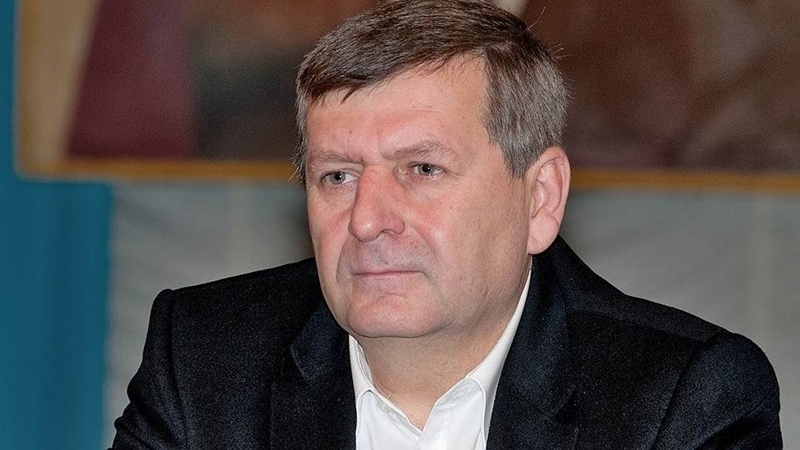 It is obvious to everyone that the criminal case against Akhtem Chiygoz does not exist. Incidents that occurred on February 26, 2014 during a peaceful rally, initiated by the Mejlis of the Crimean Tatar people, were provoked by persons who subsequently contributed to the military occupation of the Crimean peninsula. So, the people judged are not those who betrayed, who had goals and intentions aimed at changing the territorial integrity of Ukraine, who subsequently abducted and killed people, illegally vested themselves with the power to rule and to judge. But those are prosecuted who defended the laws of the country, international norms and rules. The trial was initiated by the invader country, which has no right to this. In such a situation, and knowing all the true intentions of the employer for this proceedings, it is impossible to talk about any objectivity or independence of the court.